It’s no secret that the media, politicians and several support groups are hopping on the bandwagon to vocalize concerns about opioid overdose deaths throughout the US. Make no mistake, that since the advent of prescription monitoring programs a new dawn is upon us. Specifically, a huge upsurge of heroin use and illegally obtained drugs have surfaced on the streets, many of which have been laced with all sorts of dangerous substances; this elevates risks above opioid overdose because of the unfortunate sequalae we see with injectables such as Hep C, HIV, and infectious endocarditis. So why am I posting this on a “Pain Blog” with my colleague Dr. Nadia Shahzad? One reason is because some long-term pain patients requiring justifiable chronic opioid therapy have been bastardized as part of a presumed “opioid epidemic”. And now, some legitimate patients have actually taken to the streets to obtain their medication. There’s no doubt that there are some folks that never should have been prescribed opioids regularly, but there are those that clearly require them because the benefits outweigh the risks. Then we have the substance abuse community. They too have been bastardized, as they have been labeled as criminals, even “scum of the earth” by many, including some of the readers here, when in fact they have a disease called “addiction” which deserves respectful medical treatment just as required of long-term pain. All long-term opioid patients have an elevated risk of opioid-induced respiratory depression especially if they are on other sedating or sedative-hypnotic drugs, and even more especially if there is a change in their health status particularly if prescribed medications that elevate opioid levels. Needless to say, dead is dead! Addicted persons don’t wake up as young children one day and say, “I want to be a drug addict when I grow up”. Likewise, it would surprise me if any long-term pain patients woke up as a child and said, “I want to be in miserable pain chronically so that I can take opioids and savor the euphoria”. So why the blog? I believe that both communities (long-term pain patients and substance abusers) need to come together for some common ground. For me of late, that has culminated into developing a new software app for smartphones called NOverdose. #NOverdose will be a FREE open access software application. It is currently being developed under the leadership of Dr. Jeffrey Fudin with a team of software experts, including Dr. Nadia Shahzad, to connect opioid overdose victims with Naloxone carriers anonymously with a goal to support both populations (legitimate opioid users and the substance abuse community), enabling them to save lives by connecting loved ones, friends, emergency responders, and/or peer to peer opioid users via smart phone alerts. We ensure that usage is anonymous in order to gain the trust of the substance abuse community by not requiring any identifiable data during signup or usage ; the purpose for this is that even if subpoenaed, we will be unable to provide any useful information to legal authorities for purposes of incarceration or legal proceedings. The app will also eventually allow for persons to send an anonymous text message to NOverdose about concerns in the community regarding new drug suppliers, dangerously cut drugs, or various happenings that could help their peers remain safe. If NOverdose becomes aware of dangerous activity on the street (sorted and sent depending on GPS location) that could help the substance abuse community, we likewise will share this information with all persons within that area that have downloaded the app..
#NOverdose includes three different screens, Alert, Naloxone Instructions, and New Drug Source Dose Monitor. Alert allows users to tap on a ‘panic’ button that indicates an opioid overdose emergency. This action starts a countdown in case of accidental activation, then proceeds to text the nearest text-to-911 center and/or pre-selected emergency contacts. NOverdose also notifies nearby naloxone carriers of the overdose victim’s location. Once a carrier indicates they can respond, a new screen with an ETA and in-app chatroom is opened. The chatroom will be accessible to emergency contacts and the carrier(s) to help facilitate reaching the user. Users can specify a nickname during setup or later in settings. Upon arriving to the scene, the participating naloxone carrier will have a badge displayed on their smartphone to identify they were informed by the app. Notification settings (including 911) can be turned on or off for full customization of the app to the user’s preferences in the settings menu. If a bona fide emergency service arrives at the scene prior to a lay Samaritan naloxone carrier, the open chat can be used to relay to all naloxone carrying Samaritans that help has arrived on the scene. Anyone will have the option to turn off the 911 alert so that emergency overdose alerts only go to designated persons and/or nearby naloxone carriers. If this is done in advance by the victim, any random naloxone responders will be alerted of this so that they don’t go to the scene of an overdose with the expectation that an official emergency responder will soon arrive on the scene. New Drug Source Dose Monitor allows opioid users to tap a button indicating that they have taken a drug dose. This is important for legitimate opioid users that could benefit from having naloxone in their home, but they live alone. Substance abusers may wish to use this feature if they obtain drugs from a new supplier and it is intended to be used by persons that are “shooting up” an opioid when alone at home. They can tap the Dose Monitor button at the time of taking their dose, and it starts a timer. In that time, they must tap the button again to show that they are still responsive. The length of the timer can be adjusted based on their drug. When the timer counts down to two minutes, an alarm will be triggered on the user’s phone to get their attention. If the user does not report that they are okay by cancelling the alert and the timer runs out, emergency response protocol will be activated as specified in settings, including notifying emergency contacts (a friend, neighbor, peer, and/or family member), Samaritan responders will not be alerted unless they are activated in advance by the opioid user. 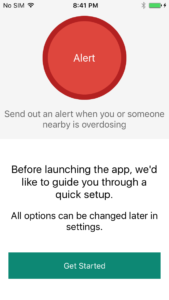 During setup, and in the settings menu, #NOverdose users can specify that they carry naloxone and would like to “opt-in” for receiving push notifications about nearby overdoses (within a 10-minute ETA). Additionally, emergency contacts and phone numbers are not stored. The application features outlined herein are all compatible with iOS and Android platforms. The initial concept, which has changed considerably may be viewed at YouTube link: https://youtu.be/_LEcliQXTSw. We expect that the functional platform will be completed this summer and we are well on the way to meet this goal. Our first endeavor will be to study the utility and functionality with a mock trial. We hope to start this locally with a moderate size group of students. PLEASE LIKE OUR DEVELOPING NOverdose FACEBOOK PAGE TO ENCOURAGE EFFORTS AND FOLLOW OUR PROGRESS OVER THE NEXT SEVERAL WEEKS. As usual, comments are welcome, especially if you have suggestions to improve the app. 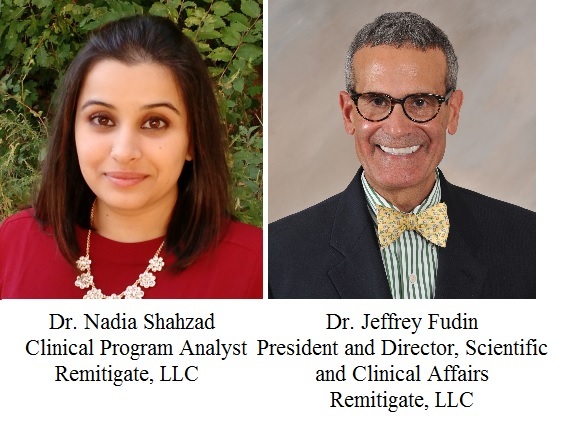 both of whom are affiliated with Remitigate LLC. Agreed. I have been on pain management for 12 years, but 2 months ago my dr refused to treat me anymore because of new laws. There is no dr in my town of 200k that is willing to prescribe opioids. Not one. The hospital had to hire someone from the East Coast to come in and do it…so now there is truly just one. I am here because yesterday I found out that a fellow pain patient I cared about committed suicide because of the pain. I have only half a bottle left, and last night I believed that maybe I should end my life as well. The pain is not liveable. I bought a camper and am now traversing the nation to find a pain dr.
We need a hub of drs on a website or app where we can go to view all the pain drs. Ive literally made over 1000 phone calls with no success. Pain drs know how to get their patients and the government should just stay out of it. Jeff – very innovative. I look forward to seeing the results that come from this new app. Thank you once again, for your thoughtful posts and contributions to the pain and addiction world. Hey! Hey! Agree totally! Here’s to the sane, humane treatment for BOTH communities! And PS…most chronic pain patients aren’t out committing crimes….and they don’t experience euphoria..theirs is the experience of the relief of pain. There is a difference. Please doctors we need you now more than ever! With lawmakers condemning those suffering from the disease of addiction to death (see link to article below), any positive steps to improving availability of life saving methods is a welcome and necessary advance in basic humanity. Congratulations to Drs. Fudin and Shahzad for their collaborative efforts to save lives. One reason is because some long-term pain patients requiring justifiable chronic opioid therapy have been bastardized as part of a presumed “opioid epidemic”. I know that won’t ever happen.